But if someone had to be a bartender, or if he still works for them, it may not be a particular desire to become one at the MCPE. Or vice versa – it’s really hard to answer here. Because in reality, working as a bartender is very difficult. We have to take orders, be polite, attentive, smart and under any circumstances have a great mood. Skin Barman 1.2.10 will provide an opportunity for craters for some time to become one of the main employees of the bar. If you combine this image with the correct modifications and maps, then the gameplay will completely turn into something fascinating and inimitable. What does the Barman skin look like? Like a real bartender. And this is a beautiful and stylish uniform, in this case it is a white shirt, brown vest and blue jeans. There is a stylish haircut, and a small beard, giving the image a special dazzle and zest. If you want to make delicious cocktails and take orders, then this skin is a great choice for your adventures. Also, new fashions are suitable for this image. If you like to cook in Minecraft PE, do it with even more pleasure and excitement. And also go through other quests, after trying on the image of the skin Barman, this does not mean that you need to do something related to this profession. You can do something unusual. 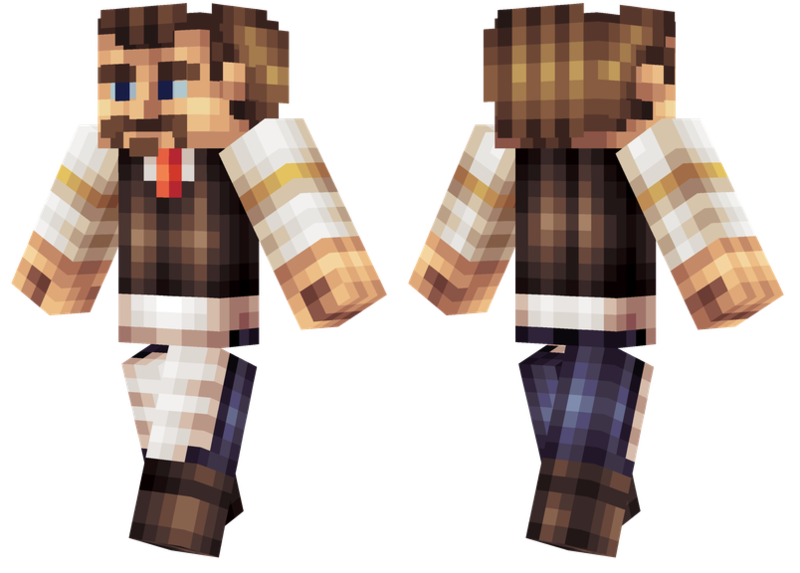 The version of the game for this skin is Minecraft PE 1.2.10.